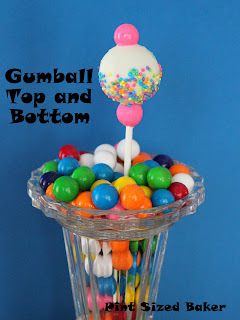 Recently, I asked my Facebook fans what type of cake pop they would like a tutorial on and I got a good response for a Gumball Machine Cake Pop! 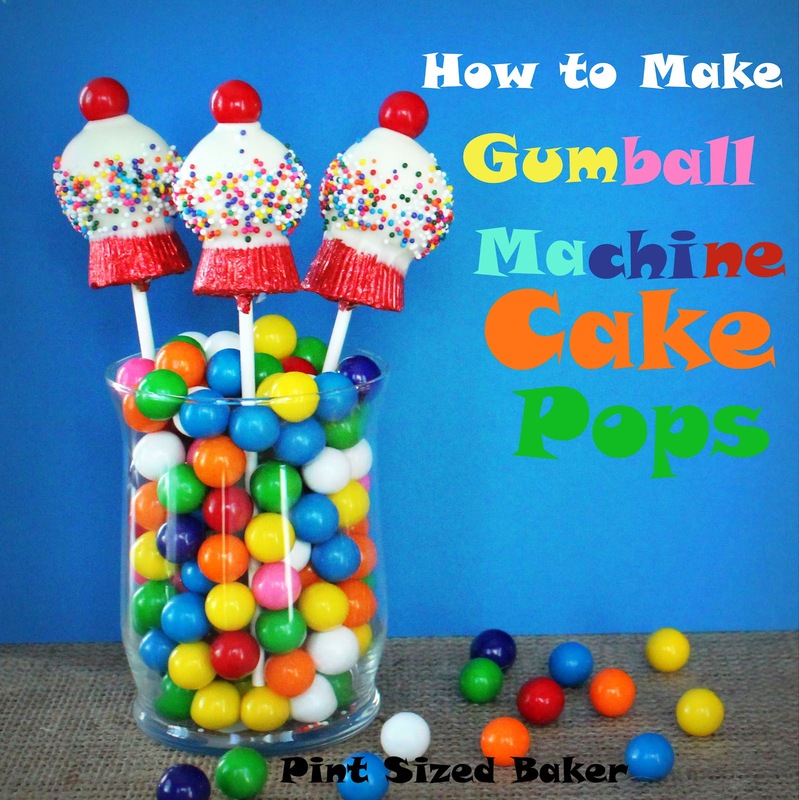 At first I was thinking that I would make a two story cake pop with a red cake pop on the bottom for the dispenser and a second pop in top for the gumball bubble. However, I like things easy and wanted to keep it as basic as possible. 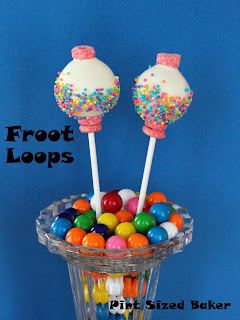 I think that these would be a great addition to any RAINBOW party or summer party. It’s a cute addition to your dessert table. 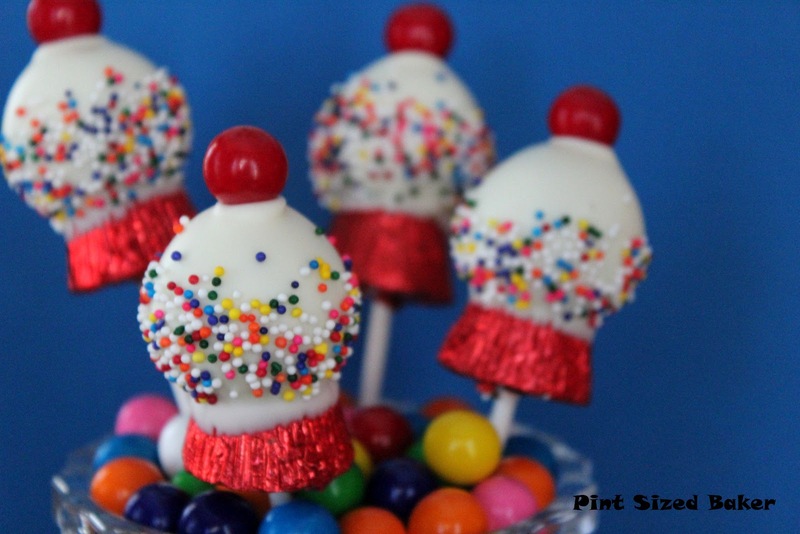 I used the rest of the Banana Cake that I made to make these cake pops. The added banana makes the cake so moist that I didn’t need frosting for a binder. However, if you feel like you need some, use a little bit of Vanilla frosting. Need tips on making Cake Pop Batter and Dipping a Cake Pops…. Check out my YouTube Videos. Once your pops are measured and rolled, cover them with waxed paper and place them in the fridge. While they are in the fridge, prepare the sticks. Step 1. I found some Red Foil covered caramel candies in the bulk food section of the grocery store. 2. I used a wooden skewer to punch a hole from the top to the bottom. Step 3. 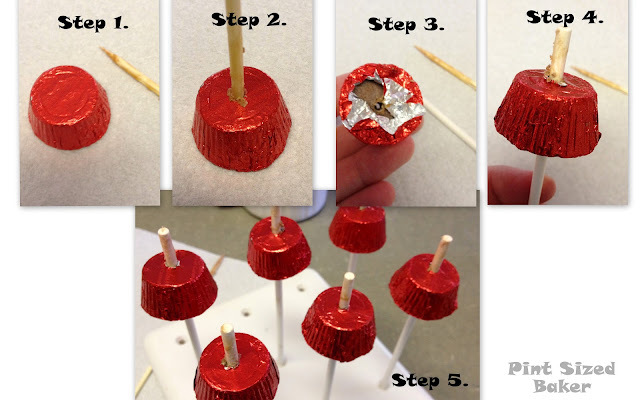 Remove the skewer and open the bottom part of the wrapper. Step 4. 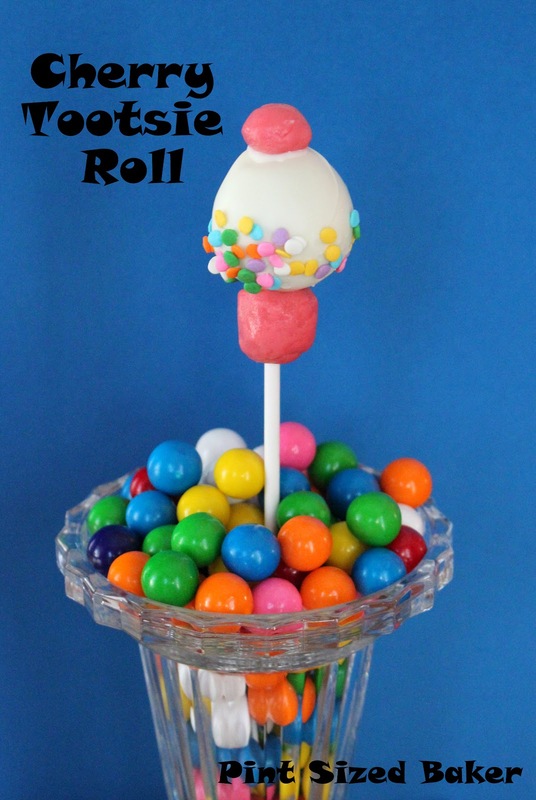 Push your lollipop stick up from the bottom through the top and allow for 3/4 inch of the stick to protrude. Step 5. Complete all sticks and prepare candy melts. When the candy melts are melted and smooth, you’re ready to get the cake balls out of the fridge. Step 6. Dip the stick into the candy melts then add the cake ball. Step 7. 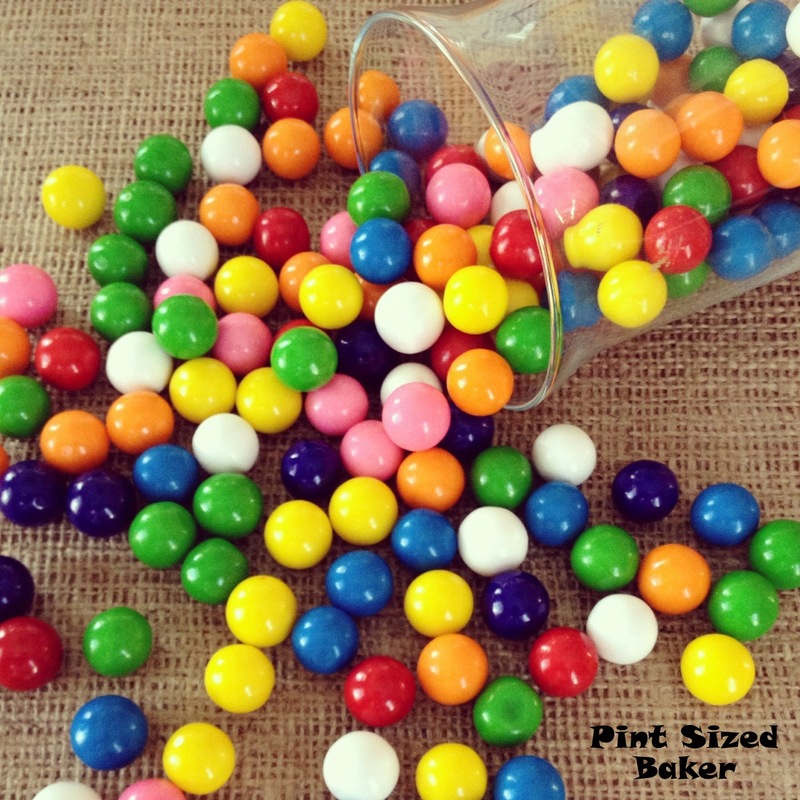 When all the balls are on the sticks, dip the cake balls into the candy melts and tap off the excess. Step 8. 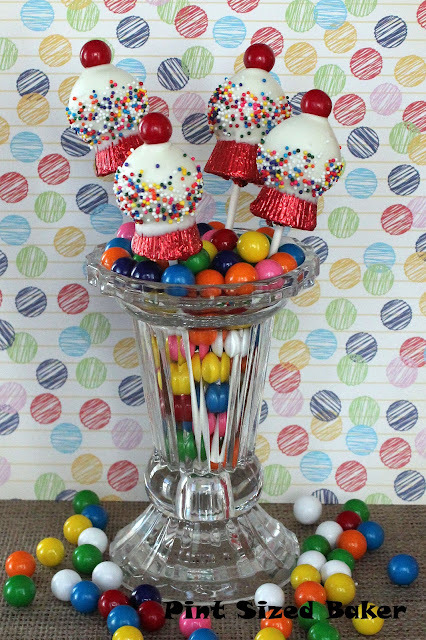 Immediately add the rainbow nonpareils sprinkles to the lower half of the pop and top with a red gumball or candy. There! Now aren’t those pretty? I also made a few other gumball machines using other bases and toppers. I tried some red soft candies like a Tootsie Roll and some flat sprinkles. 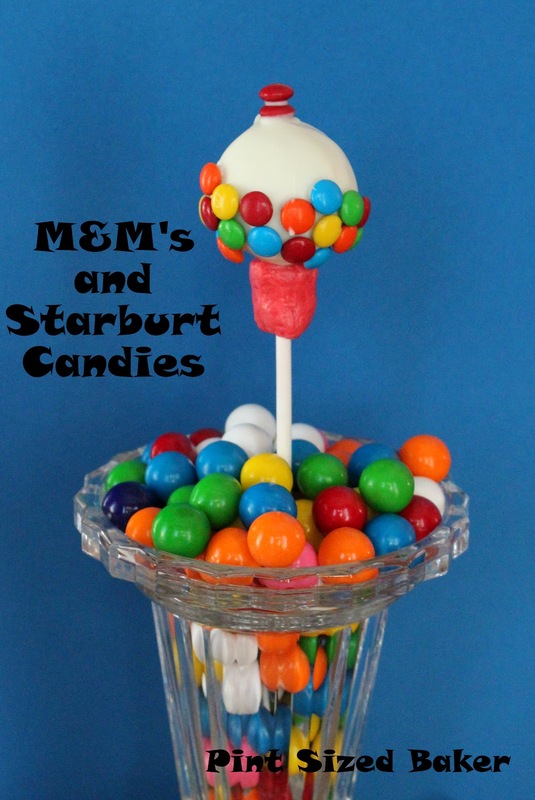 Also, a red Starburt base and some mini M&M’s as gumballs. Then I made one with a pink gumball for the top and bottom. And finally, I tried them with Froot Loops. Honestly, I think that the red foiled candies worked the best, followed by the Froot Loops. BTW, I love this picture with the gumballs! The bright colors just make me happy and it puts a smile on my face. I hope it makes you smile as well. Now, this picture is my background on my phone. Did I mention that it makes me happy? ‘Cause it does! I like to PARTY at THESE blogs! 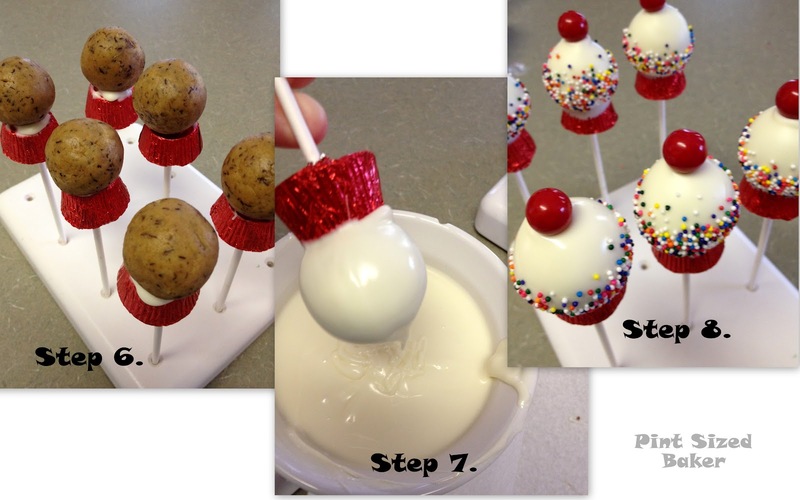 Another fabulous success with cake pops!! You make it look easy when I know it's not so simple. Thanks for sharing your creations! You never cease to amaze me! So cute! Thanks Dorthy! I figure if I can't decorate a cake, I can mush it up and dip it in chocolate! So glad you live them Trish! I've added your party to my list and I will link up these next Thursday morning! Thanks so much for the invite over. Enjoy your weekend! WAAAYYY cute – you always go the second & third mile with your lovely creations! Thanks for the simple tutorial and for linking up at Weekend Potluck. Thanks for having me. I try to keep them simple so other cake poppers don't get over whelmed and give up. OMG Those are amazing!! You are extremely talented Karyn! WOW! 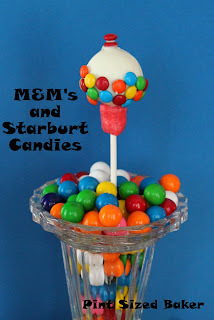 Thanks for linking up to Fantabulous Friday this week!! Thanks for having me and thanks for the feature last week! I've added your button to my Featured page! Wow! Those are the cutest little cake pops ever! You are really going to have to write a book with all of these cute ideas. I thought of you when I saw a Mini-Cooper car in a parking lot today with a personalized plate that said "Pint Sized" I had my hands full and it was raining or I would have gotten a pic. Haha 🙂 That would have been cute! Thanks for thinking of me anyway… As far as a book goes, I don't think I could handle the pressure! Thanks for the invite. I just linked up. Those are so cute. What a great idea! These are adorable. What a creative idea! These turned out really cute. I love that you showed several versions. Sometimes it takes a few attempts to get just what you want. The end result looks great! Oh I LOVE the reese's gumball pops the best-way CUTE! And doable too which makes it even better 🙂 You are so creative! These are so stinkin cute! Love it! thanks for linking with kids in the kitchen! pinning! Thanks for linking these up! They just turned out so adorable! These are incredibly AWESOME!!! I love it!!! So cute! I'm sharing on my facebook page. Thanks so much for sharing at Whimsy Wednesdays. OH MAH GOSH, these are AWESOME! I am obsessed with bubblegum ANYTHING and so I can only imagine making a bubblegum version of the cake pop for these 🙂 and eating the entire batch before I photographed them because I was hungry for sprinkles, gum and cuteness overload. You're so talented! This is so cool!! I love it! Such a clever idea!